Can China head off its looming water crisis? The problem is that 80% of the water is in southern China, meaning that eight northern provinces suffer from acute water scarcity, four from scarcity, and a further two (Xinjiang and Inner Mongolia) are largely desert. These 12 provinces account for 38% of China’s agriculture, 46% of its industry, 50% of its power generation (coal and nuclear use a lot of water), and 41% of its population. Measures to increase supply by decreasing pollution help. But they cannot match rising demand nor be effective in a sufficiently short timeframe. Nevertheless, there should also be a reinforced commitment to tackling water and soil pollution. 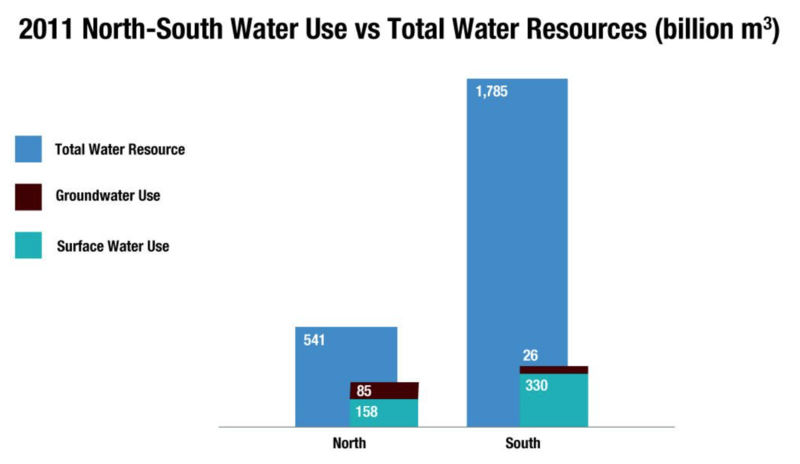 This will help overall resources (8.3% of China’s water is too polluted to be used even for agricultural or industrial purposes; in 2014 water of levels IV and V (bad and very bad) constituted 61.5% of resources). The government has discussed raising domestic water prices, but people use only 14% of China’s water. 62% is used in agriculture and 22% in industry/power generation, with 2% for other uses. Politically, price rises are sensitive: farmers are already struggling, and many state-owned enterprises are technically bankrupt. But there is no choice. This was first published on chinadialogue.net.